At the Cold War Air Museum, we're getting a lot of experience with our Mi-2s. We learn as much as we can from former field and factory techs that contact us and visit. You can share your experience and stories by contacting us at the museum as others have done. 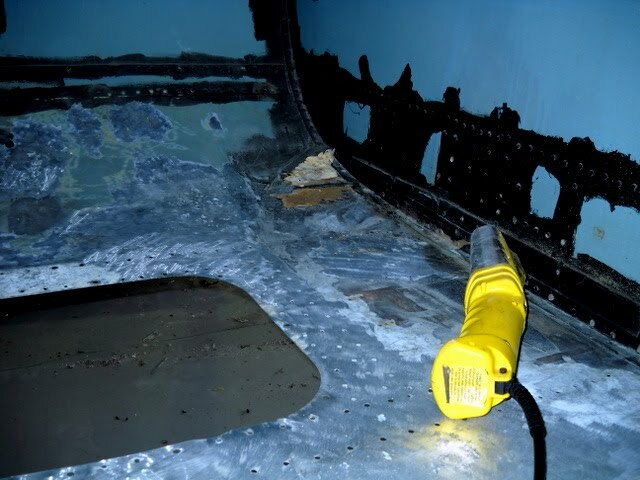 Our local techs and mechanics have also applied lots of their experience at dealing with problems that occur in aging aircraft everywhere. 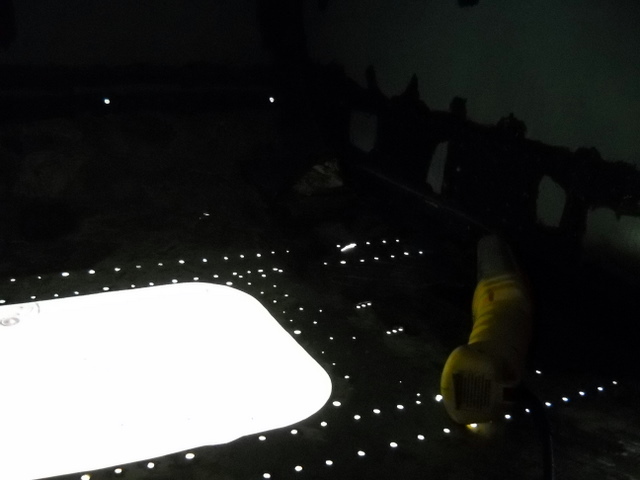 Opening and inspecting the fuel bay for corrosion is now a standard procedure for Charles. We are fortunate to have his experience and skills. Sometimes we don't know what we must deal with inside until we get down to bare metal. Getting down to the bare metal requires quite a bit of work and and if there are indications it is necessary, we also remove the external stiffeners (hats) to inspect the area beneath. After evaluating the work to be done, to patch or replace, the decision was made to replace a section of the skin on 212 as we did with Bord 211. This requires suspending the Mil so we can safely remove more of the structure. Work is proceeding as shown in the earlier posts on Bord 211.